This is our 2019 freeride guide to snowboarding in South America. 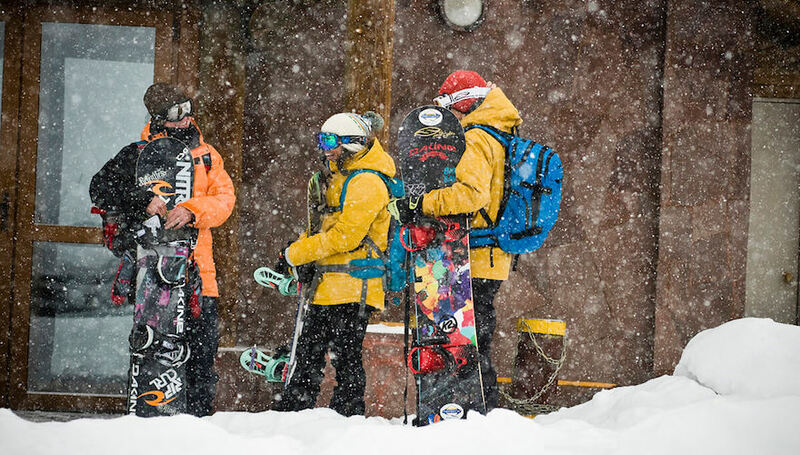 If a snowboard trip to Chile or Argentina is on your radar, you are in the right spot. We will introduce you to what snowboarding in the Andes is all about, then dive deeper linking you to details on riding Chile, Argentina and mystical Patagonia. When you go on vacation it’s supposed to be relaxing. Go some place hot, chill on the beach, and rest up. When you go on a trip with a snowboard it’s an adventure. Find passion in the mountains, recharge your soul in a powder turn and carve out a life experience you’ll be bragging about and cherish forever. It’s becoming harder and harder to find that in the mainstream world. The world is becoming smaller with all of our technology and information. There is a place where the word “Wild” and “Unknown” still can exist in the same sentence as “Snowboarding”; It’s South America. Forget about what you think you know about summer vacation and take a chance on a summer powder adventure that will have you second guessing where winter really lives. When is the South America Snowboard Season? 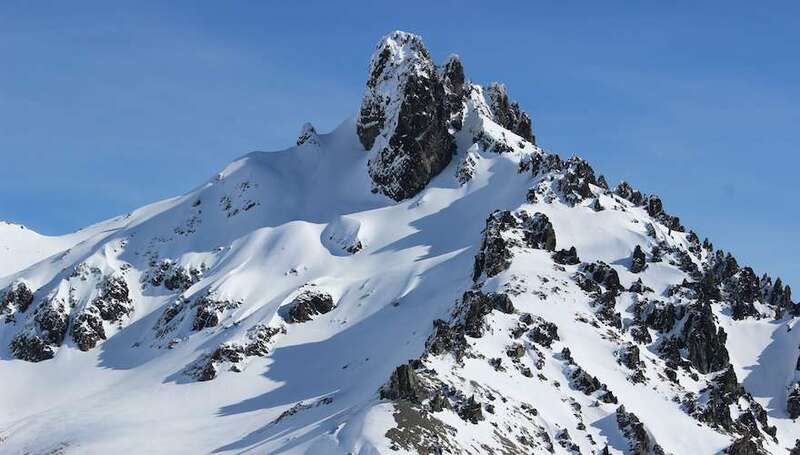 The very fact that you will start packing for this South American snowboarding adventure in the middle of summer is hint number one that your breaking away from the pack and what people think when they hear the words summer vacation. The snowboard season in both Chile and Argentina gets underway in June and keeps going until October with cold summer powder. Don’t worry about how many days you got to ride during the Northern Hemisphere winter or how you had that injury that kept you from snowboarding, South America is the answer and the massive Andean Mountain range is waiting for you to discover its deep high elevation snow and terrain like no other place on the planet. Forget the stereo types like “Hot”, “Danger” and “Third world” and start thinking “Powder”, “Welcoming” and “Awesome”. What makes South America snowboarding special is the diverse terrain changes from region to region. The Central Andes with towering ranges home to the highest peaks outside of the Himalayas and resorts that rival the finest services anywhere in the world. High speed chairlifts, Cat-boarding and Heli access backcountry freeriding. It’s all available here in Chile and Argentina. The first thing that comes to mind when I think of Snowboarding in South America is the idea that right in the middle of a long hot Northern Hemisphere summer, and right when your soul needs it the most. The Andes mountains are sitting there blanketed in snow as good as any you could hope to find on earth. And really all you have to do is just make the trip. Moving farther south the terrain turns a corner and changes into misty forests with some of the deepest powder you’ll find any where on the planet. Quaint villages dot the country side leading up to giant dormant volcanos and some even fully active. This wide open style of terrain will appease all styles of riding. Long flowing runs with wide open powder coupled with a natural terrain park hips, jumps and windlips. The world’s natural organic terrain park…perfect for snow surfing. Deeper into Patagonia you’ll be transported to the wild south. In history this place has been a hideout for the lawless and explorers at heart. It’s also one of the most uninhabited places on the planet. What can’t be argued is that it’s one of the planet’s last remaining purely natural settings. It’s also home to some of the most wild and magical riding with probably the best snowboarding in The Andes. Modern day resorts give access to Patagonia’s rustic natural playground. One minute your on a lively mountain town street that has a unique mesh of European/Latin American charm, and then 5 minutes out of town you’re the only person in sight watching the sun set at the bottom of the world over pristine lakes without a care in the world. A truly amazing place. Definitely on the “You have to go to know” list in life. South America is the best place to get my mid-summer powder fix and keep the skills dialed. For a better grasp of the terrain and what it’s like to go snowboarding in South America, don’t miss this video from Arbor Snowboards featuring Mark Carter and Bryan Iguchi. Mainstream snowboarding is still new here in this part of the world. Yes of course the locals ride. Are there the same amount of people at the skill level in North America and Europe? No. What does this mean? More intermediate and expert terrain is left open and untouched, and by untouched, we mean fresh powder. The shred culture is alive and well here and the locals are super friendly and stoked to hear why you decided to come ride here, but let’s put it this way; There is more terrain and more snow than there are people to take full advantage of it.